In an apparent move to compensate many party loyalists who are yet to get any “sweet juice” in his two-year-old government, Governor of Ondo State, Rotimi Akeredolu, has shown his intention to create some Local Council Development Areas (LCDAs) in the state. The decision to create the LCDAs is coming after Akeredolu was lambasted for failing to conduct elections into the council areas of the state. Making his intentions known in Ode-Irele, Irele Local Government Area of the state, on Monday, Akeredolu said the LCDAs would help bring people of the grassroots closer to the government at the centre. SaharaReporters gathered that the Governor was visiting some towns in the state for a “thank you visit” to kick off his statewide tour when he declared his intentions. He said the LCDAs, if created, would attract development and growth to the grassroots, which will benefit the local people as well promote development. According to him, the governments would set up a committee that will help look critically into the creation of the LCDAs. He explained that the committee would be accepting memoranda from the communities who are seeking local governments or the LCDAs as this will help to determine the number to also create. The ‘Sunshine State’, as fondly called, has a total number of 18 LGA and it is currently overseen by Caretaker Chairmen appointed by Akeredolu. Akeredolu is already into his second year in office but he is yet to conduct Local Council Areas election in Ondo State and has been using party loyalists as ‘caretakers’ to oversee their administration. Last year, he promised to conduct local government election for the third tier of government to have its own autonomy, but he hasn’t fulfilled it. 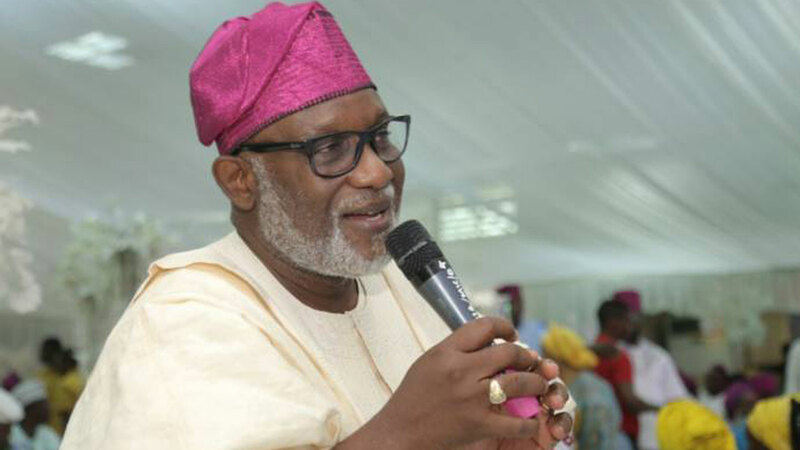 Then, Akeredolu set up members of the Ondo State Independent Electoral Commission (ODIEC) with a view to conducting the elections, but the commission has remained a shadow. The over 10 political parties showed interest in the council’s poll by obtaining the forms for their candidates, but they have been accusing the Governor of playing politics’ by not conducting the LG election. Meanwhile, critics of the Akeredolu administration have refused to welcome the development, as many of them see the intention as an “playing politics” ahead of 2020. “The governorship poll is coming by next year, and Governor Akeredolu is now looking for a way to play us and seek support. He can’t succeed,” one of them said. “Firstly, he should go and pray that they give him governorship ticket of his party because I know he is now fighting a battle within his party. A source close to the Governor told SaharaReporters that the plan to create the LCDAs might not be feasible due to financial status of the state. “Some of us see no reason for the creation of LCDA because the issue is, where is the money to run it. We don’t have the resource and we have lot of project to execute but no fund to do them”” he asked.